Custom CNC Picture Frame - Zen Toolworks, Inc.
Hi everyone! This is Alex here again with a custom picture frame project. I will show you how to create a design from scratch using Fusion 360 followed by machining on the Zen Toolsworks CNC machine. Create a new project in Fusion 360. Choose the ZY plane to start the sketch on. 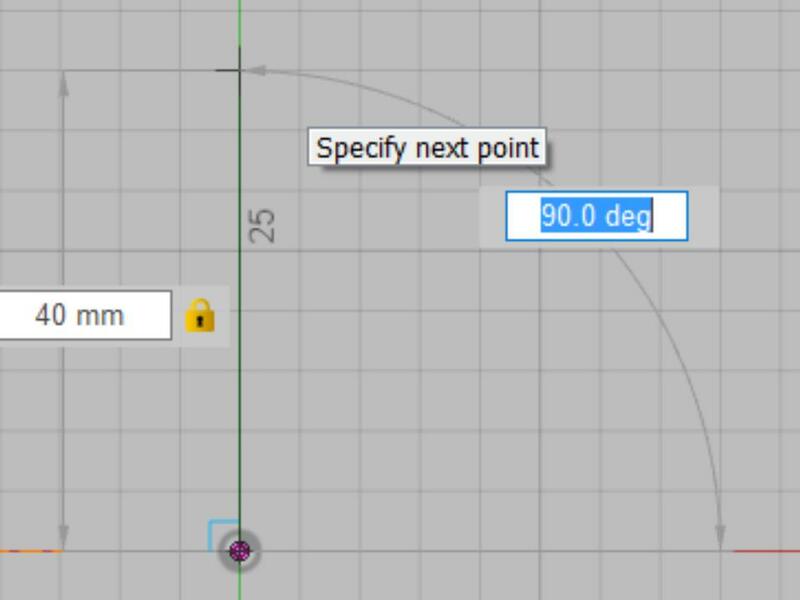 Now, select the origin of the 3D space as the start point of your line, and type in the length that you would like the line to be. This will be the width of each part of your frame. Move your mouse so that the line is running along the Y axis and click to finish the line. 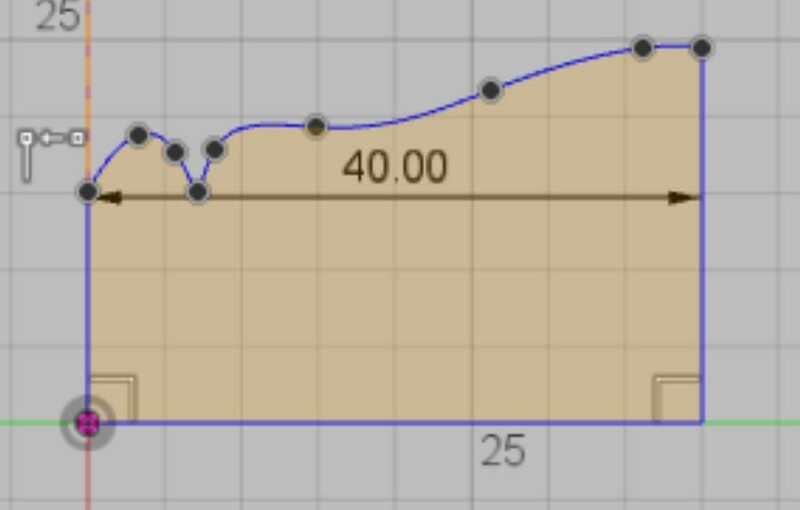 Select Sketch->Spline. This will allow you to create the shape of the cross-section of the picture frame. Mouse over the origin. The cursor should snap to a line through the origin running vertically. Follow the line up, and click to begin the contour. Keep clicking to make the cross section of the frame. 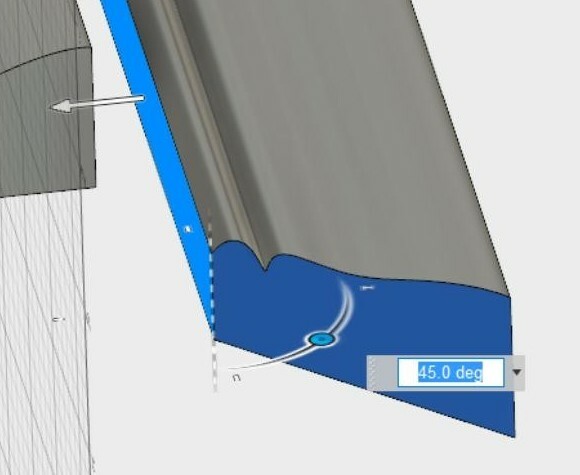 Now create lines between the endpoints of the spline and base line to complete the cross section (see blue lines below). Press Stop Sketch. After the cross section is created, select Modify -> Press Pull and select the sketch. Type in the length of the inside of the smaller side of your frame and press Finish. Copy the body that is created and use Press Pull again to increase the length to that of the longer side of the frame. Now select Modify->Draft. 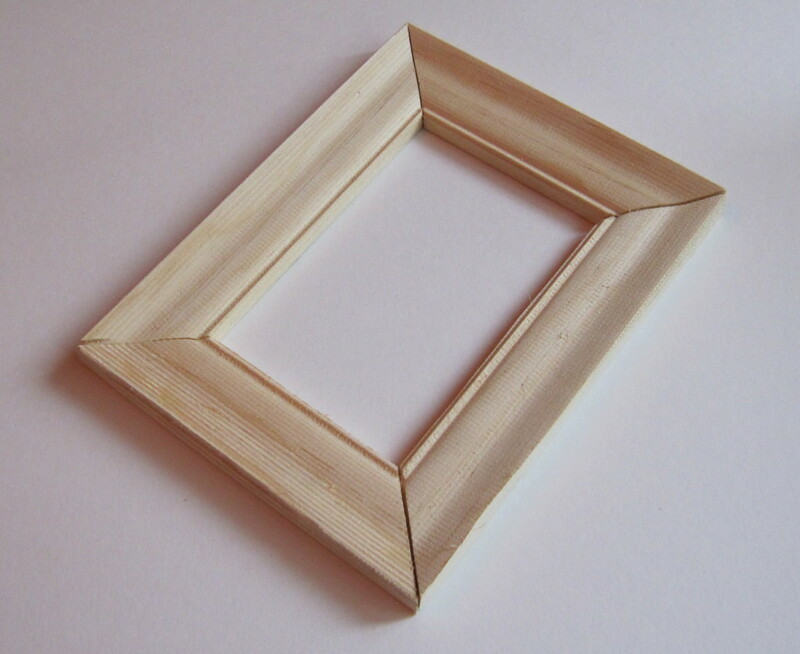 Select the inside face of one of the frame pieces and then one of the end faces. 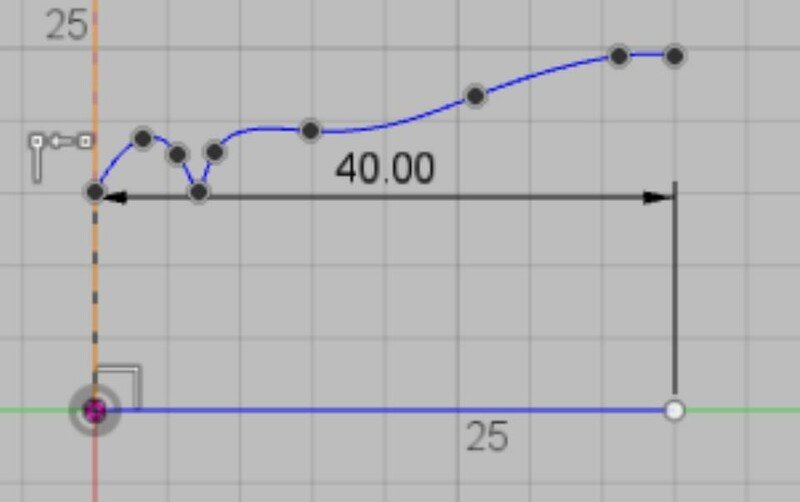 Set the angle measure to 45 degrees to create the angle of the frame corners. Repeat this with each end face. Begin by switching into the CAM work space. Select Setup -> New Setup. To begin, I like to set the origin to the front left corner of the material. Move to the Stock tab and fill out the information for the material from which you will be cutting the frame parts. This will make sure that the frame parts are not larger than the material and will let the program know how much material needs to be removed. I like to put my designs to the left front bottom of the box of my material. It is easier to find the origin that way. 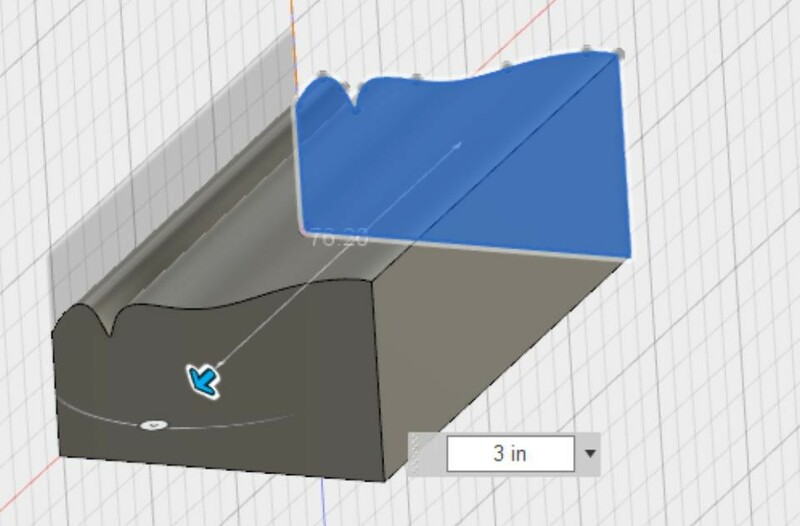 Go to the Setup tab and input the size of your material, and where your design fits within the material. Then select the origin of the design as one of the corners of the stock box and press done. I prefer to use the front left corner, since it is easy to calculate the origin with using the machine. In the Tool tab, check that the tool is the correct bit. I chose to use a 1/8″ endmill, since it will be able to cut through the wood quickly. 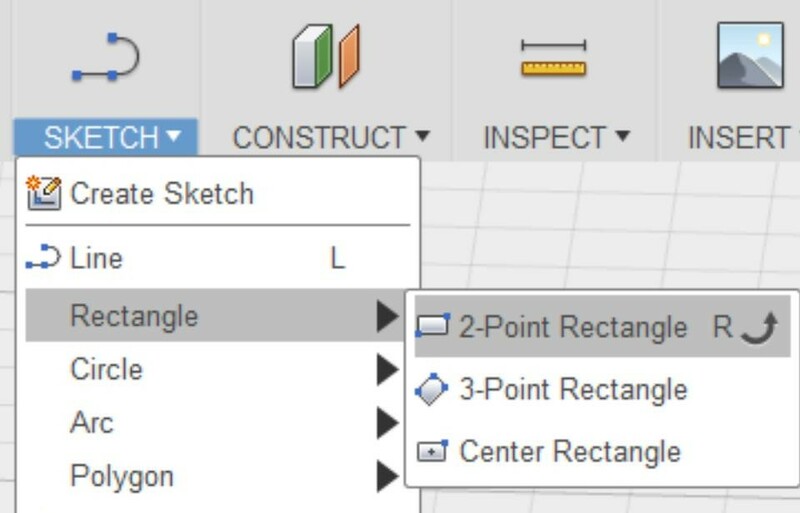 In the Geometry tab, set the Machining Boundary to Silhouette and select both of the outlines of the frame pieces. Set the Tool Containment to Tool outside boundary. In the Passes tab, I set the Maximum Roughing Stepdown to 0.75 mm. In the Tool tab, I selected the bit to be a 1/8 in endmill. In the Geometry tab, I selected both of the bases of the frame pieces. 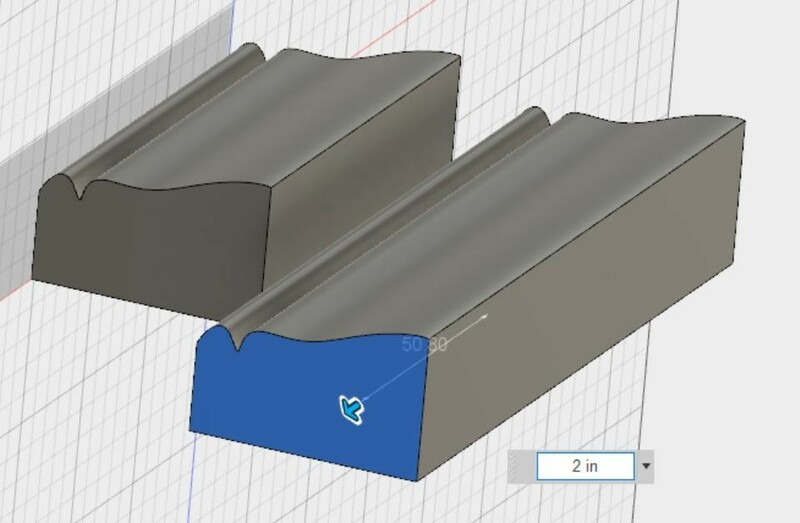 In the Passes tab, I checked the Multiple Depths box and changed the Maximum Roughing Stepdown to 0.5 mm. I changed the tool to a 1/8″ ball nose endmill so that I could make the design as smooth as possible. In the Passes tab, I checked the box for Add Perpendicular Passes and changed the Stepover to 0.5 mm. Both of these changes will lead to a much smoother finish. I started the project by cutting out two 9 inch long sections of 1″ x 6″ wood. Each piece of wood will be used to create one long side of the frame and one short side based on the design above. I then secured the the first piece down and equipped the machine with a 1/8″ endmill. After zeroing the machine at the origin, I ran the Adaptive clearing path. After that, I changed the bit to a 1/8″ ballnose endmill and zeroed the machine again. I ran the Parallel path, and then switched out the bit for a 1/8″ endmill, and finished by running the Contour path. I repeated this process again with the second piece of wood, and after all four sides of the frame had been machined, I used wood glue to finally finish the frame.